Located across the street from Disneyland. . Transportation via ART (Anaheim Resort Transportation) for a nominal fee. The Anaheim Camelot Inn & Suites is aptly themed as a English Tudor mansion. Not only does the exterior resemble a British bastion, the lobby does as well. Here you can relax in front of the fireplace in a wing back chair. Guests of the Anaheim Camelot Inn & Suites enjoy a complimentary Continental "Plus" breakfast, terrace level heated pool, Jacuzzi, game room, sundeck with gazebo, complimentary daily newspaper, gift shop and laundry facilities. The 121 guest rooms include dual line phone with data port and voice mail, cable TV, iron/ironing board, hairdryer, refrigerator and coffeemaker. The one-bedroom suites also have a microwave. Handicap accessible rooms are available. Conveniently located, this updated hotel features acres of landscaped gardens, an olympic-pool, and 303 spacious rooms. Many of the rooms overlook the grounds, with a patio or balcony. Rooms come with crisp, white linens, in-room coffee, WiFi, and refrigerator. The popular Pizza Press is on property, for an affordable meal away from the theme parks. Located across the street from Disneyland. Transportation via ART (Anaheim Resort Transportation) for a nominal fee. The Best Western Anaheim Inn is within walking distance of Disneyland. This three story hotel offers a heated pool, Jacuzzi, sauna, concierge staff, laundry facilities, baggage hold and newsstand. The guest rooms feature phone with data port and voice mail, cable TV, iron/ironing board, hairdryer, coffeemaker, refrigerator and free local calls. Rooms with kitchenettes are available as well as rooms that are Handicap accessible. 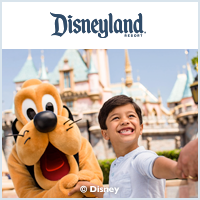 The Best Western Park Place Inn is conveniently located within walking distance of Disneyland. The lobby has a welcoming fireplace with views of Harbor Boulevard. This hotel has complimentary Continental breakfast, a heated pool, Jacuzzi, sauna, tour desk, restaurant, car rental desk, fax service, laundry facilities and gift shop. The guest rooms feature phone with data port and voice mail, cable TV, Nintendo (fee based), iron/ironing board, hairdryer, microwave, refrigerator, free local calls and long distance access. Handicap accessible rooms are available. Located 2 blocks from Disneyland . Transportation via ART (Anaheim Resort Transportation) for a nominal fee. The Best Western Pavilions Hotel's tropical theme begins with a palm tree ringed landscape and follows through the lobby and welcoming heated pool. Other amenities include a Jacuzzi, car rental desk, fax/copy service, laundry facilities and concierge staff. The guest rooms feature cable TV, phone with data port and voice mail, free local calls up to 30 minutes long, coffeemaker, iron/ironing board, and hairdryer. A refrigerator can be provided for a fee. Handicap accessible rooms are available. Located 1-½ miles from Disneyland. Transportation via ART (Anaheim Resort Transportation) for a nominal fee. The Best Western Raffles Inn & Suites features a cheerful and comfortable decor. Guests can enjoy a complimentary Continental breakfast, heated pool, Jacuzzy, tour desk, fitness center, onsite laundry facilities and car rental desk. The guest rooms feature a refrigerator, microwave, iron/ironing board, coffeemaker, hairdryer, fee based high speed internet and fee based Nintendo games. The Kid's Suite has a queen bed with TV/desk in the main area and a separate kid's room with bunk beds, queen sleeper sofa, TV and activity table. The Queen Suite has a queen bed and queen sleeper sofa and TV in the main area. The second bedroom has a queen bed and TV. There's a single bathroom with dual sinks. The Family Suite has two queen beds, TV, table and chairs and desk in the main area. The second bedroom has bunk beds, queen sleeper sofa, activity table and TV. There are two full bathrooms. Located 2 blocks from Disneyland. Transportation via ART (Anaheim Resort Transportation) for a nominal fee. The Best Western Stovall's Inn has a unique feature unlike the other Best Western choices; a fun topiary garden. A cheerful two story lobby greets you when you arrive. The amenities include complimentary Continental breakfast, two pools (one is heated), two Jacuzzis, kid's wading pool, laundry facilities, fitness center, concierge desk, gift shop, fax/copy services. The guest rooms feature a coffeemaker, iron/ironing board, hairdryer, cable TV, Nintendo (fee based), phone with data port and voice mail and free local calls up to 30 minutes long. A refrigerator can be provided for a fee. Handicap accessible rooms are available. The Candy Cane Inn is a recipient of "Anaheim's Most Beautiful Property" award. The welcoming fountain, beautiful blossoms and meticulous landscaping provide a tranquil setting that's perfect for relaxation. The Candy Cane amenities include a complimentary Continental breakfast, heated pool, gazebo covered whirlpool, kid's wading pool, fitness room, laundry facilities, game room and gift shop. The guest rooms feature down comforters with custom duvets, refrigerator, iron/ironing board, coffeemaker, hairdryer, high speed internet access and Cable TV. The standard rooms can accommodate up to 4 guests. The Deluxe rooms can accommodate a fifth guest with a rollaway provided at a nightly fee. Handicap accessible rooms are available. The Candy Cane Inn has 10 Premium Rooms. In addition to the amenities described above, these rooms include a VCR with complimentary movie rentals, upgraded toiletries, microwave, nightly turndown service, complimentary in-room breakfast, welcome gift, extended check out ot 2:00pm and USA Today delivery. Located 2 blocks from Disneyland. . Transportation via ART (Anaheim Resort Transportation) for a nominal fee. The Clarion Hotel Anaheim Resort prides itself on service. This award winning hotel offers amenities which include a heated pool, game room, laundry facilities, busness center, gift shop and internet kiosk located in the lobby. The Clubhouse Grill and Lounge is located onsite. The guest rooms feature free local calls, Cable TV, Nintendo (fee based), internet access, coffeemaker, refrigerator, iron/ironing board and hairdryer. There are studio suites which include a microwave. Handicap accessible rooms are available. Pets are allowed with certain restrictions/fees applied. The Cortona Inn and Suites is a non-smoking hotel. Amenities include a complimentary deluxe Continental breakfast, game room, heated pool, laundry/valet. The guest rooms feature refrigerator, coffeemaker, microwave, Cable TV with premium stations, pay per view movies, high speed internet access, iron/ironing board, hairdryer. Handicap accessible rooms are available. The Courtyard by Marriott offers both standard guest rooms and Kid Suites. The hotel amenities include a heated pool, kiddie pool, Jacuzzi, 24 hour market, lounge, business center with internet access in the lobby, game room, complimentary coffee and two restaurants: The Panini Grill serving breakfast, lunch and dinner as well as the famous Ruth's Chris Steakhouse. The guest rooms feature, custom comforters, thicker mattresses, down pillows, coffeemaker, hairdryer, iron/ironing board. Rollaways beds are available as are handicap accessible rooms. This newer Courtyard location is just a 5-minute walk to the theme park entrance and has something for everyone. The pool area features a waterpark with six waterslides, drench bucket, water cannons and a children's pool. Some guest rooms offer bunk beds and two showers. The lobby features state-of-the-art entertainment and relaxation, with the Bistro at its heart. Room amenities include phones with data ports and voice mail, cable TV, Sony Playstation (fee based), refrigerator, iron/ironing board, hairdryer and coffeemaker. Handicap accessible rooms are available. Located a block from Disneyland. Transportation via ART (Anaheim Resort Transportation) for a nominal fee. Located ½ mile from Disneyland. Transportation via ART (Anaheim Resort Transportation) for a nominal fee. The Hampton Inn & Suites has a number of room types to select from. The hotel's amenities include complimentary Continental breakfast, heated pool, Jacuzzi, kid's wading pool, laundry facilities, 24 hour gift shop and exercise room. The guest rooms feature cable TV, dual line speaker phones/data port and voice mail, free local calls, desk, wireless high speed internet, Playstation (fee based), microwave, refrigerator, coffeemaker, iron/ironing board, hairdryer. This hotel offers 169 recently renovated rooms. Rooms feature mini refrigerator, microwave, 32 inch flat screen Television, coffee/tea maker, hairdryer, iron and ironing board. Amenities include complimentary business center, onsite fitness center, 24 hour pavilion pantry, guest laundry and restaurant (for breakfast only). Located 1 mile from Disneyland. Transportation via ART (Anaheim Resort Transportation) for a nominal fee. The Holiday Inn Anaheim Resort Area Hotel offers a free formed heated pool, Jacuzzi, tennis court, basketball court, exercise center, concierge desk, gift shop, laundry facilities and onsite restaurant which offers the Holiday Inn "Kids Eat Free" program. The guest rooms feature cable TV, refrigerator, coffeemaker, dual line phones with data port/voice mail, iron/ironing board, hairdryer, in-room safes and newspaper delivery. In addition to standard rooms are Junior Suites featuring a separate living room and speakerphone. The Kid's Suites feature a King Bed for the adults and a "room within a room" with bunk beds for the kids. A VCR and Nintendo (fee based) is also included as well as either a kid's desk or daybed. Handicap accessible rooms are available. The Holiday Inn Hotel & Suites Anaheim has a distinctive Western theme reminiscent of Old California. The Holiday Inn amenities include a heated pool, Jacuzzi, game room, fitness center, laundry facilities, room service, tour desk, gift shop and ATM. The onsite restaurants are the Silver Saloon Lounge and Chaparral Cafe. The Holiday Inn “Kids Eat Free” program is offered. The guest rooms feature cable TV, Nintendo (fee based), two phones with data port and voice mail, high speed internet, work area, coffeemaker, iron/ironing board and hairdryer. The Two Room Suites have a refrigerator, microwave and living room with sleeper sofa. The Three Room Suite has all of the same amenities as well as a bedroom with private bath and oversized Jacuzzi, and second bedroom with full bathroom. All three rooms in the suite have a TV. Handicap accessible rooms are available. Located one block from Disneyland. Transportation via ART (Anaheim Resort Transportation) for a nominal fee. This newer hotel located near Disneyland offers family-friendly accomodations, including spacious rooms and suites. The hotel features a 24-hour fitness center and outdoor pool. Free WiFi is available, along with a complimentary hot breakfast buffet each day. This Howard Johnson Hotel is considered a flagship property having earned the Howard Johnson Hotel of the Year award for excellence in quality and service. Set on 7 carefully landscaped acres, the amenities include two heated pools, a kiddie's wading pool and "Sprayground" with fun fountains, Jacuzzi, tour desk, laundry facilities, exercise room, garden courtyard, game room, gift shop and restaurant. The guest rooms feature a refrigerator, coffeemaker, free high speed internet access, phone with data port/voice mail, cable TV, iron/ironing board, hairdryer, Sony Playstation (fee based). Most of the rooms have dual sinks and balconies. Handicap accessible rooms are available. Located ½ mile from Disneyland. Transportation provided via ART (Anaheim Resort Transport.) Nominal fee charged. This hotel features 235 redesigned, spacious beautiful guest rooms with hardwood floor and stylish-upgraded bedding packages. Amenities include expanded cable television, wireless Internet service, free gourmet coffee service, a courtyard-setting outdoor swimming pool, whirlpool, limited hours gift shop and guest laundry. Located 2 blocks from from Disneyland. Transportation via ART (Anaheim Resort Transportation) for a nominal fee. The Tropicana Inn & Suites places you right at the crosswalk which leads to the Disneyland Resort. The hotel amenities include a light complimentary Continental breakfast with coffee, pastries and juice, heated pool, Jacuzzi, laundry facilities and car rental referral. The guest rooms feature cable TV, refrigerator, microwave, coffeemaker, iron/ironing board, hairdryer, phone with voice mail and data port. The one and two suites have a kitchenette. Handicap accessible rooms are available.